Buy, Rent or Skip The Rock? 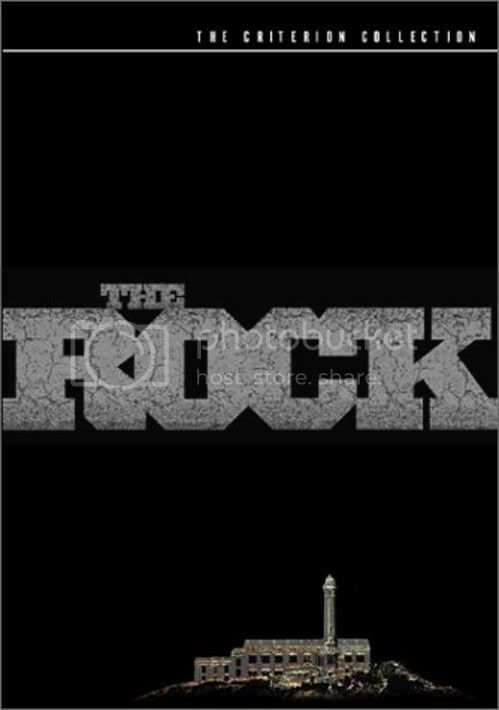 I love The Rock. It's one of my all time favorite action adventure flicks constructed just for the sake of blowing sh*t up. But we get a little bit more here that elevates it from mindless fun to awesome mindless fun. Namely it's Sean Connery and Ed Harris. I don't really put Nic Cage in the same category with these cats for one simple reason, his over-the-top acting is a bit much at times. Granted, back when this came out, his acting chops was a unique trait and one that hadn't been done all that much up to that point regarding his hammy acting. Since then, that's all he is known for. So when watching the movie now, it really stands out more. Anyway, back to Sean and Ed. They bring a certain cool to their respective roles and the acting chops to back it up. If it were not for these two dudes, this would certainly not be Michael Bay's best film. So, he owes them a debt of gratitude for sure. Anyone that knows me, knows that I'm not the biggest fan of Bay. He does have a certain flair to directing his film shots with camera moves and he does a fantastic job here. But there were some blatant rip offs from James Cameron's arsenal as far as camera shots and lighting which comes with the territory I guess. Everybody steals from everyone in Hollywood. Also gotta give a shout out to Michael Biehn. He doesn't seem to ever have a bad role in anything he does. This is definotely a Buy for sure. As much as I dig this movie and recommend this to everyone that has yet to see it, to this day I still don't understand the rationale of including The Rock in the Criterion Collection. Head scartching for sure. Same can be said for Armageddon as well. I never understood the 'Criterion' thing anyway. It means nothing to me. It's usually reserved for titles that are considered art-house films, or better yet, one's that bore the sh*t out of me. If I remember correctly, Robocop was also a member of the CC. Yes, but not boring. Therefore is doesn't belong. Just an observation.